This includes a variety of activities centered around pre-schools/early childhood care centres in the villages to educate parents, children and the community. For example, a training course was conducted for the voluntary teachers serving in the Safe Learning Centres in villages in the Kilinochchi and Mulativu districts maintained under the British Asia Trust (BAT). This was done under the direction of the ECDU from December 2014 to May 2015 for 18 teachers from 9 Safe Learning Centres. Year 2014/2015 -1 600 children in 35 villages. 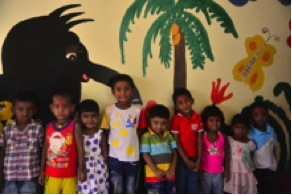 The ECDU continues to manage a quality pre-school centre at the Sarvodaya HQs in Moratuwa. Preschools have been the ‘heart’ of Sarvodaya’s operations and people’s mobilisation in Sarvodaya villages, and Sarvodaya Early Childhood Development Unit has expanded its preschool teacher training programs to update the knowledge and skills of the preschool teachers to provide a better education for the children of the nation. 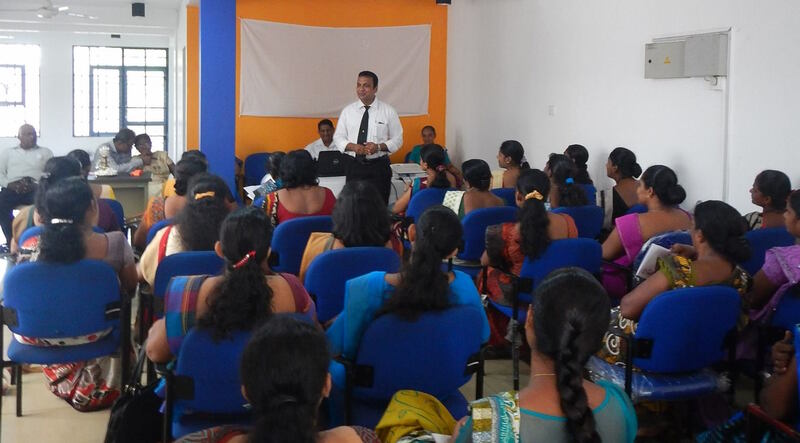 One such training began June, 24th, 2016 at the Sarvodaya District Centre in Kalutara with the participation of more than 40 preschool teachers.